What is the Routine for Dog School? Oh what a day it would be at dog school, if we could say with certainty that we walk our guests at 10am, feed at 11am promptly every day and we always train precisely at 2pm. What a glorious day that would be, although definitely wishful thinking! Think of how a school classroom operates for a moment. Imagine kindergarten aged children finishing up reading time and it’s time for coats and shoes. “Recess time!” the teacher Mrs. Smith calls out. The excitement fills the room while the screams are kept to a minimum considering it’s the best Mrs. Smith can do. The utter joy in the room is irreplaceable, yet needs to be managed in order to make it to the playground. Daily there is an agenda, but there will always be a few twists in the day! This is the same energy and excitement of a dog school classroom in session. Only the kindergarten students are dogs, lots and lots of dogs! Some little, most big. Some rescues, some not. Some abused and being rehabilitated, others just there for the pure joy it brings. Every day is a new adventure! Truly a new day filled with energy, wonder, education and unexpected surprises. 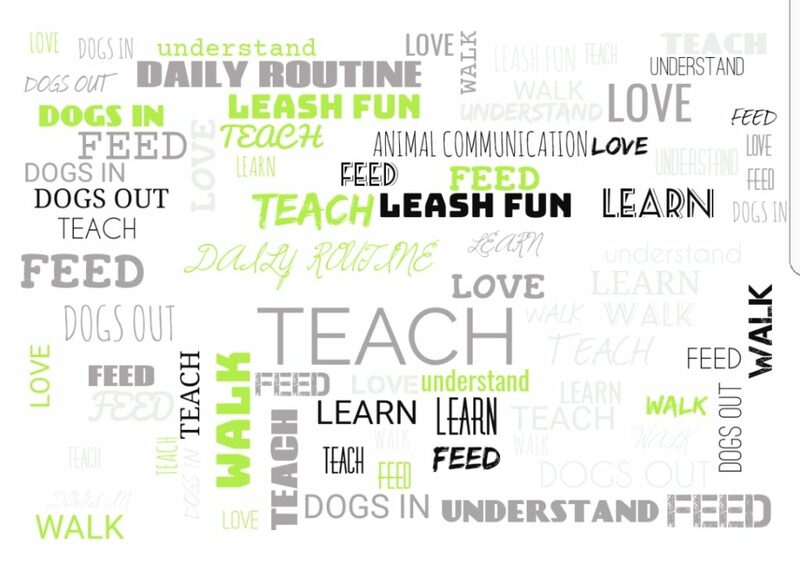 At Wag ‘N’ Tails, we give our pet parents an idea of what the “routine” is for the day, but we prefer to continue running our show based on the needs of our guests, and believe us, their needs change daily. Sometimes those changes are based on how much exercise they’ve had at home over the weekend. Sometimes their needs can change based on the weather, age, medical needs, or simply just being tired! 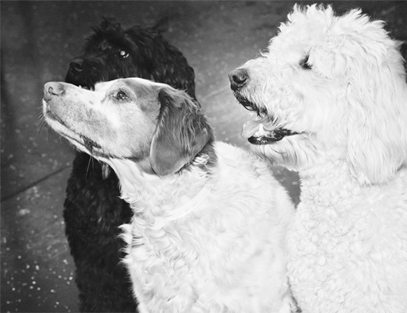 Certainly, there is a policy and a procedure in place for the daily dog school routine, and we proudly follow all of them. That’s what keeps our tails waggin’ since 1999. We like to say that we operate much like a school, only our kids, are dogs! The picture below depicts a perfect day in the life at Wag ‘N’ Tails! Never hesitate to schedule time with our Director of Services, Jordan Covington and she’ll be happy to answer your questions on your tour. She also schedules 15-minute meetings with our pet parents as needed! Be sure to follow us on social media to keep up with the daily fun too!